Ilsley offers a great selection of books and audiobooks. 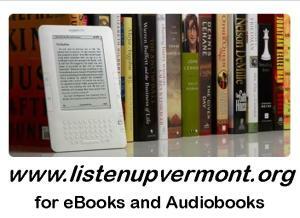 We now also provide thousands of ebooks and eaudiobooks through ListenUpVermont as well. If you have an Ilsley library card, you have an account already in ListenUpVermont. Log onto http://gmlc.overdrive.com, choose Ilsley Library from the “Sign In” screen, and enter your library card number (from the back of your library card). You may now browse the collection of ebooks and eaudiobooks, check out up to three titles at one time, or reserve titles if they are already checked out. 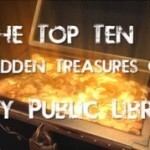 Here’s a selection of recently purchased ebooks and downloadable audiobooks. If you prefer print books and cd-audiobooks, we have a wonderful selection at Ilsley.. Each month, the library adds lots of new books, audiobooks, and movies to our collection. We highlight a selection of these materials in eNewsletters and on our website. A reading list of books on race and privilege can be found here. On December 2, from 1- 3:00 p.m. the Congregation Church of Middlebury will host a free, open, interactive workshop on white privilege with Debby Irving (author of Waking Up White).